South Korean city of Miryang is bending over backward to become a city of yoga. 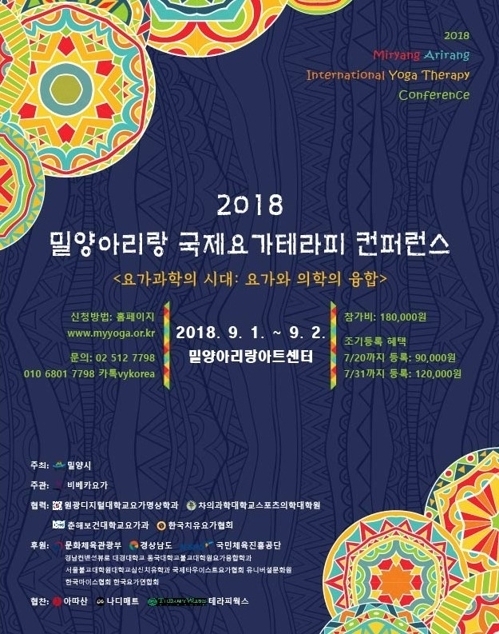 The city government of Miryang said Sunday it will host a global-scale yoga therapy conference and festive yoga-related events for two days on Sept. 1 and 2. Located in South Gyeongsang province, Miryang hosted its first international yoga conference in 2017 and is following up this year with an expanded program. Yoga academies will take part to nurture the future generation of yogis in Korea. Performances at the festival are free of charge. Visitors to the festival can experience traditional Indian yoga upon advance registration with the Miryang city hall.